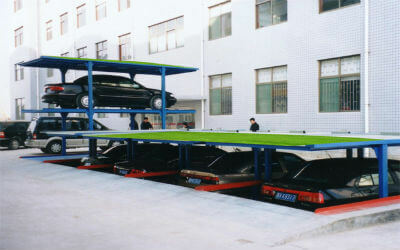 Simple stack parking system is flexible to various places, saving land. Easy install, beautiful appearance. Not influenced by the climate, flexible to various conditions. 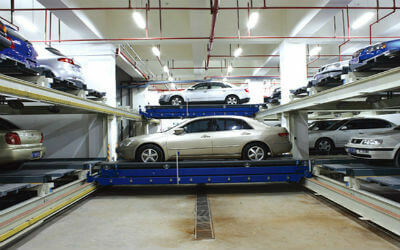 The noise of the equipment operation is low, no worry for disturbing. 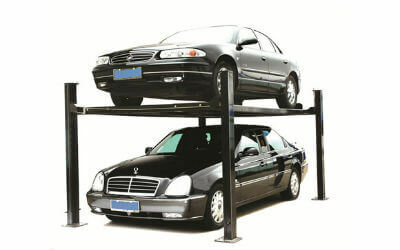 Suitable for family and commercial parking purposes, especially for limited small spaces. 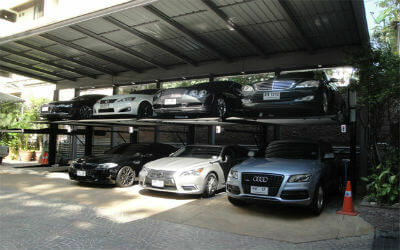 The simple parking system (stacking type) is calculated by unit,One unit is with four vertical parking spaces, which cannot be split, Multi-unit can be built in a row. Higher safety, equipped with a series of safety protection devices, including anti-falling frame,anti-collision device, anti-overload device, anti-roof falling device, etc. Can be designed with hydraulic drive or traction motor drive. The lifting speed of traction motor drive can be up to 120m/min and the lifting speed of hydraulic drive can be up to 60m/min. Equipped with a series of safety protection devices, including anti-falling frame, anti-collision device, anti-overload device, anti-roof falling device. Its operation mode can be manual button operation or swiping card. 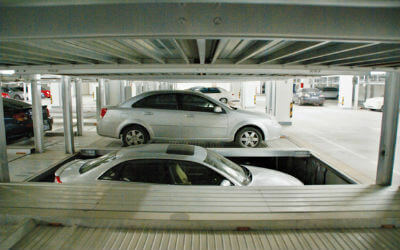 Can be designed with levels no higher than 35 levels and its parking capacity can be customized. 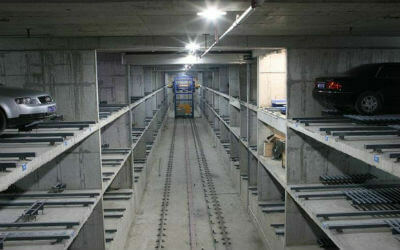 With the characteristics of higher safety, lower cost and maintenance cost. computer fault diagnosis system and PLC logic loop, fast maintenance and easy fault removal. 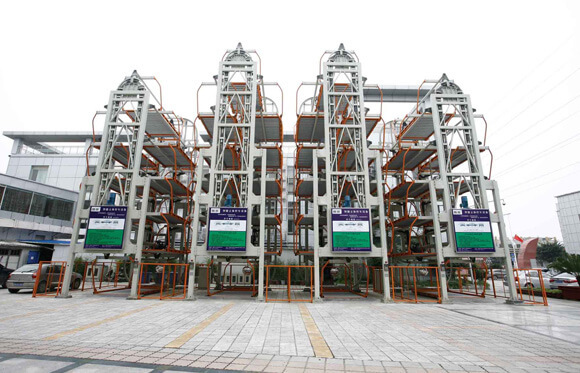 The equipment is processed by galvanizing and high-grade anti-corrosion painting. According to customers’ different demands, its outside packing can be designed as totally enclosed packing, semi-enclosed packing, simple packing, and non-packing. 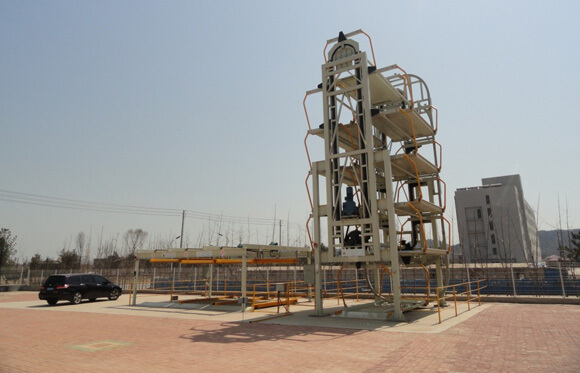 High accuracy control, high speed silent running, large compact design, high integration with its surrounding buildings. 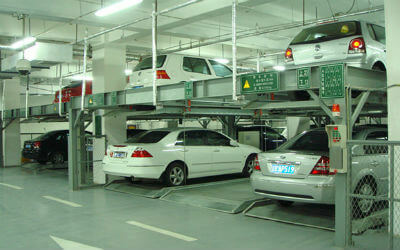 According to the conditions of its surrounding buildings and environment, this parking equipment can adapt to various system integration, maximum to meet customer demand. 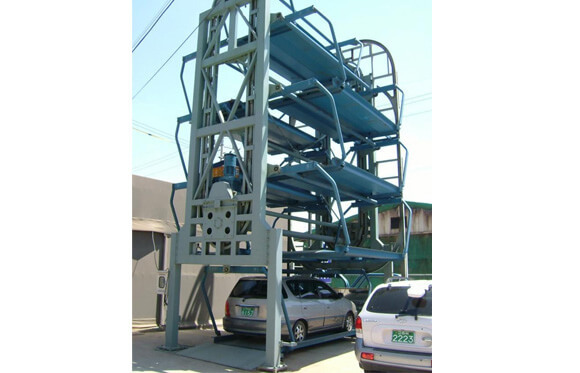 This equipment is with features of high safety, high automation degree, high efficiency of car parking and retrieving, high ratio of space use, and widely applied. 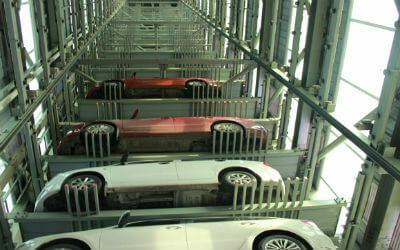 The Stacking Parking System has the advantages of High automation degree, high parking efficiency, saving space, flexible design, various structures, simple operation and easy control. 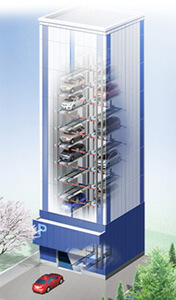 The Vertical Lifting Parking System--Tower Parking System (10-35 Levels) Can be designed with hydraulic drive or traction motor drive. The lifting speed of traction motor drive can be up to 120m/min and the lifting speed of hydraulic drive can be up to 60m/min. 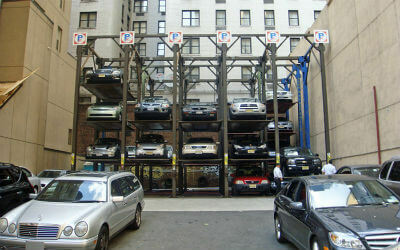 The vertical rotary parking system has the advantages of Adopting the Rubik’s cube technique, saving land, Small land coverage, flexible equipment, high space utilization ratio.